At the end of this month, I’m running the Impact Hub Crawl – In a warm up to this peer-to-peer (beer-to-beer!) learning event, I wanted to share with you three ways to learn from your friends. 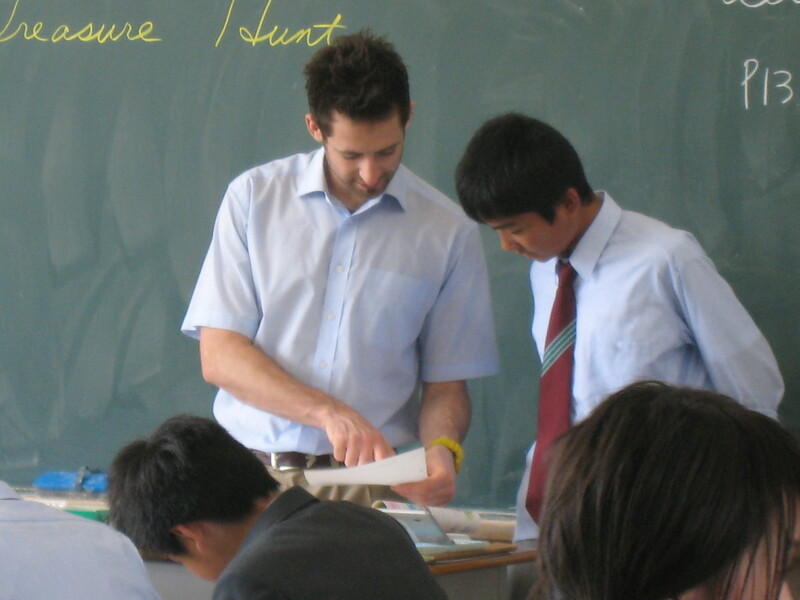 When I was a teacher in Japan, the joke was always – “Who learns the most in school?” “The teachers!”. OK, that’s not something that our global education systems should be proud of, but in traditional education it’s true. Why is this true? Because to be able to teach something well, you have to know it really well. And if you know you have to teach it, you’ll really concentrate when you are learning it! What could you teach your friends? I want to help you get started in Good Business. In work that makes the world better. And if you’ve already started in good business, I want to support you to learn from your friends and peers. Some call this peer-to-peer learning. But this is Inspiring Adventures, and we call it beer-to-beer learning*! Join the Impact Hub Crawl – The CoWorking, CoWalking, Social Adventure! I’m very happy to announce that I’ve been given the social enterprise Spark Award by a fantastic organisation called UnLtd. It’s their mission to support social entrepreneurs too. This post has my top three tips for starting something that matters. This is how I started, and it can work for you too. No one likes unwanted spam. But newsletters and emails from interesting people have poked me into action more times than I can remember. And it’s a great way to make sure you don’t miss the posts from people you like, and from people like you. For business, I love to read the Four Hour Work Week blog by Tim Ferriss. It’s full of interesting posts on lifestyle design, health, new books and online business. I’ve learned a lot from his work. I like to read it with a social entrepreneurship lens. What would a social Tim Ferriss do? For travel, I love This Battered Suitcase by Brenna Holeman. She writes wonderful stories of her adventures around the world, and also around my back garden here in East London. I love it when she writes about causes she is passionate about, like Femme International, or questions irresponsible tourist practices like chumming for sharks. For social impact, I always read The Impact Hub London Newsletter, and not just because I work here creating Hubcademy. It’s great, and important, to hear about all the relevant, local events going on near you. If you live in London, and you’re interested in making an impact with your life and work, join this list. You can get all my blog posts in your email too – just enter details on the right at the top of the page. Never miss an Inspiring Adventures post! I also have a newsletter, and I’d love to know what you’d like to read more about. Answer my 17 second two question questionnaire, so that I can give you more of exactly what you want. Over the last couple years, Myanmar has made it easier for tourists to come and visit this little travelled region of South East Asia. In the past, the military government just wasn’t that keen on letting outsiders come in, and seeing what they were up to. For reasons that I won’t go into right now (let’s just use the code word: Aung San Suu Kyi), they have decided to open up their kimono, and are making it easier for the world to see their attractions. Already, there is a well-worn path of worthy destinations. I’m not saying you should skip them, as they are beautiful experiences, but be prepared to share them with the other travellers in Myanmar. 1) Sunset at Ubein’s Bridge, near Mandalay. Walk along the world’s longest teak foot bridge at Sunset. Perhaps get a boat, or stay on shore. Either way, at sunset you’ll be rewarded with a beautiful, photogenic scenery. Of course, you and dozens of others will be taking nearly exactly the same beautiful photos. It’s not just Ubein’s Bridge around Mandalay, there are some fantastic monasteries, stupas, pagodas and images of Buddha. Just explore and see what you find.